Leslie Lesoon has a doctorate in Physiology and Endocrinology and is a Physician Assistant in Neurosurgery. She is Natalie’s Mom. Natalie was her only child. She thanks God each day for the precious gift of being the mother to this child. What joy she brought to their family! Her hope to is to share the light Natalie gave to others through Natalie’s Light, a name selected by Natalie's peers who came together in a teen advisory group to help us understand what is lacking in suicide discussion and awareness and what we can do to prevent suicide. Dr. Patrick Lillard is Board Certified in Psychiatry and Neurological Surgery, is a fellowship trained Addiction Psychiatrist with previous faculty appointments at four universities including Harvard Medical School. He returned to Augusta to serve soldiers at Eisenhower Medical Center at Fort Gordon. Now retired he provides consultant services for soldiers and veterans with Traumatic Brain injuries and Post Traumatic Stress Disorder and he hopes to provide support and education services for Natalie's Light. Dr. Laura Hughes has served as an educator for 32 years. 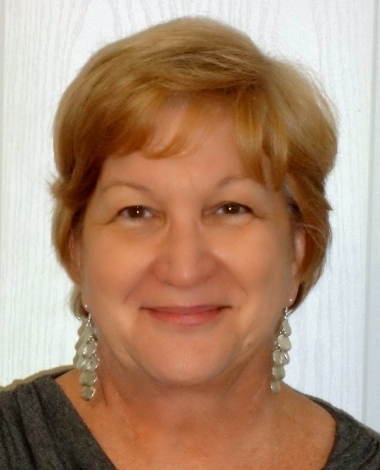 She has taught students from elementary to high school levels, in regular and gifted education. She has also trained teachers in Georgia, Alabama, and Texas. She has worked as an administrator in three counties, and recently retired as an elementary school principal. Her passion is inspiring children to succeed. Molly holds a Bachelor's Degree in Business Management and has been the President of Concerned Care, Inc. for more than 10 years. Molly is the owner of Stable Influence, LLC. She became involved with Natalie's Light when she was approached about her services at Stable Influence and how it may be able to collaborate in the prevention of suicide. Jeanne is a recent empty nester and Mom of two. Her daughter Morgan was a close friend of Natalie. It breaks my heart that Natalie is gone and I want to be part of the movement to prevent others from taking their lives through suicide. I have previous experience on the boards of organizations and hope to use those experiences to make Natalie's Light a success. Whitney Blake joined Natalie's Light in August 2016 after seeing an article about Natalie's Light in the paper. Whitney lives with major depression and anxiety and wanted to be involved in helping those who are struggling to find help. Although Whitney does not have a formal education in mental health, she has learned how to manage her illness. She lives in Augusta, GA and works for a mortgage company full time and is on the board for Natalie's Light on the side. Whitney designed our website! The daughter of a Presbyterian minister and a violinist, Patty’s own career hit its high point when she was nine as a guest soloist with the Old York Road Symphony in Pennsylvania. Admiring of this Natalie’s Light Project, Patty hopes to make a difference in it! Nicole moved to the USA from England in 1999, first living in California and then moving to Georgia in 2004. She have been teaching at Augusta Prep for 10 years now and this I where I had the privilege of teaching Natalie. I am involved with Natalie's Light because of Natalie and the desire to prevent these precious individuals from taking their own lives through education. Nicole has two sons, Elliott, 22, who studies Chemistry at GA Southern and Mikaiah, 16, who is a freshman at Grovetown High school, her husband William is a retired military man! Rick is the Coordinator, Veteran Employer Relations at The Augusta Warrior Project – an Augusta based nonprofit. He is also the pastor of Mesena United Methodist Church in Warrenton, GA. His volunteer service includes Board of Directors for Turn Back the Block, Pendleton King Park Foundation, Hope House and Lynndale, Inc. He is also a graduate of the Leadership Augusta Class of 2010, Leadership Lincoln and Leadership United Methodist Church. He is a member of the Rotary Club of Augusta, and received the Paul Harris Fellow in 2012. He is a member of The Augusta Uptown Kiwanis Club receiving the Kiwanis International Leadership award in 2011. He is also a member of the Morris Museum of History, Augusta Sports Council and Tri Augusta – a local triathlon training club. Recently he received the 2016 Leadership Augusta Alumni service award. Jennifer met Leslie during their freshman year at college, they have been best friends ever since. She watched Leslie's daughter, Natalie grow from an adorable baby to a beautiful and talented young woman. Natalie was an inspiration to everyone she met, always putting others before herself. Jennifer developed a strong devotion for helping others, growing up with both parents and siblings in the medical profession. After obtaining a B.S. Degree in Biology at Bowling Green University, she spent the next 25 years in the Pharmaceutical industry helping physicians better serve and care for their patients. Her volunteer and community service interests include, Habitat for Humanity, Nursing Education and Animal Rescue. Jennifer resides in Cleveland, Ohio where she enjoys a very active life with family and friends. In addition to her passion for traveling, Jennifer enjoys fitness, cooking, and attending Journey concerts. Jennifer is honored to be part of this organization and looks forward to advancing the mission of Natalie's Light. Nassab is a mother of three, Graphic Designer, and group fitness instructor at the YMCA and Evans Fitness Club in Augusta, Georgia. Nassab designed the logo for Natalie's Light. Born In Amman Jordan, Samira graduated from The Rosary High School, then from the University of Jordan with a degree in Arabic language and literature. She was a teacher at the American School of Kuwait and has four children. She lost her youngest son, Majed, on Mother's Day to suicide. Nina has been in nursing for 60 years. She has a Master of Science Degree in Adult Psychiatric/Mental Health Nursing and experience in neurosurgical nursing, as the world's best neurosurgical nurse we have heard from a certain neurosurgeon! Nina also works with hypnosis to assist individuals with depression and anxiety. She is honored to be a part of Natalie's Light to help bring awareness to the increasing number of teen suicides and be available to provide services in what ever way is needed. Najat came from Lebanon originally and has been in the US since 2002. She is currently an instructor at Westgate Learning Center. She met Leslie and Natalie and became friends and was very impressed by Natalie. She thought she was among the happiest and luckiest teenagers she had met. She was very shocked when she heard Natalie took her own life and wants do her best to help prevent such actions in other people. Gloria is a Nurse Practitioner at East Central Regional Hospital with 15 years of experience in mental health practice. She joined Natalie's Light with hopes to help those in need of support with depression and anxiety and to prevent suicide.